A man of moderate temperament, Orlando Bridgeman came from Wigan, where his father held the living, being later appointed Bishop of Chester. After graduating from Cambridge Bridgeman practised at the Bar, becoming a Bencher of the Inner Temple. He was knighted in 1640 being at that time a member of the Long Parliament for Wigan. In 1644 he was a member of the Oxford parliament. Permitted to practice privately during the Commonwealth, he is recorded as living at Beaconsfield in 1650, a safe distance from London which he was only allowed to visit by special licence. He was created a baronet at the Restoration in 1660, returning to public life and presided at the trial of the Regicides later that year. Bridgeman had acquired a house in Teddington by 1662, and perhaps earlier, being listed in the Hearth Tax Lists for that year. He may have spent time here in 1667, seriously ill. He retired to Teddington in 1672, ill again, after his dismissal from the post of Lord Keeper of the Great Seal for refusing to sign the Declaration of Indulgence.He brought with him his chaplain, Thomas Traherne. His house is believed to have been on the south side of Teddington High Street to the east of Field Lane - a house called Bridgeman House was on this site until demolition in about 1911. The Hearth Tax Returns of 1664 to 1672 indicate that the house had about twenty hearths, the largest in the village. The telephone exchange is now on the site. 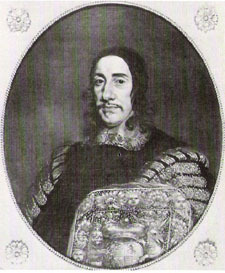 His wife Dorothy remained at Teddington until her death at the end of 1696 and was buried on 12 January 1697. She gave some land to the parish, on the north side of the street, the income from which was to teach poor children to read. He died at Teddingtom on 25 June, 1674 and was buried at St Mary's Church where there is a memorial inscription summarising his life. Patronage of the Curacy had been vested solely in the lord of the manor and rectory until 1671, but then Bridgeman purchased fee farm rents of about £80 in order to augment the living. In consequence, alternative presentation of the curacy was given to him. He did not settle the rents legally on the church so, following his death the arrangement lapsed. Disputes arose between Bridgeman's heirs and Edward Hill, the lord of the manor about presentation which were only settled in 1709 when Sir John Bridgeman and Edward Hill agreed on alternation. This was the year of the appointment of Stephen Hales to the curacy. Sole rights were later acquired by Orlando Bridgeman, 1st Earl of Bradford (of the 2nd creation) in 1815, being vested in the Bishop of London in 1913. The 4th Baronet, also Orlando, married Lady Ann Newport, daughter of Richard 2nd Earl of Bradford of the first creation. The title lapsed with the death of the 4th Earl but was recreated for the Bridgeman family in 1815. Francis Newport the 1st Earl (1620-1708) lived in the house later rebuilt as Richmond House on Twickenham riverside.